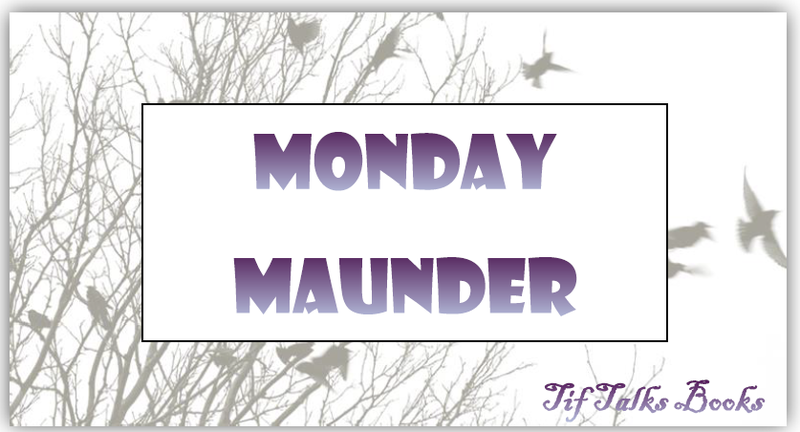 TIF TALKS BOOKS: Monday Maunder: Saying Good-bye to the Midwest! Monday Maunder: Saying Good-bye to the Midwest! This is my final Monday in the Midwest! Tonight, I sit here eating a couple of cookies and drinking a glass of milk, reminiscing about my last nine years living in the Midwest. In less than five days, I will be loading up the final items into my car and hitting the road to move back to Big Sky Country (for those who are unaware, that is Montana). I have been a whole barrel of emotions the last few days because of this ... stressed, anxious, excited, and maybe even a little bit crazy. I don't remember myself having quite so many mixed emotions on any of my previous moves. Of course, this one may be the last interstate move in a long time. This move is also taking me to the state that I was born and raised, and where a large portion of my family currently resides. I am finally returning to the mountains, and that alone brings tears of joy to my eyes. Yet, I also experience a few tears of sadness for leaving the Midwest. It has served me well overall, with my friends, the books, my experiences, and everything in between . . . even during the really, really difficult times. Seriously, what is up with all this emotion?!? I am not usually this emotional! Needless to say, the boxes are almost all packed. I only have a few things left to do and then a good cleaning. Then, we hit the road, where we will be for at least three days. The next time I am back here for the weekly maunderings, I will be sitting in my new home --- one that I have never seen, I might add! --- probably without furniture, but HOME! In the meantime, I will be still be posting a few things here on the blog. I'm still working to schedule a few items, including my wrap-up of Sit Down & Write. And, be sure to be watching for some special guest articles from my fellow bloggers in my new (temporary) feature, Moving Books(es). I will leave you with a quick reading update . . . my FINAL reading update from the Midwest! I finished reading Club Dead by Charlain Harris as well as listening to The Golem and the Jinni by Helene Wecker. I am now in the midst of Dead to the World by Charlain Harris and for my audio, The Ocean at the End of the Lane by Neil Gaiman. I will likely be continuing with the Sookie Stackhouse series by Charlain Harris as we hit the road, but I am considering a re-read of something as well. Since I will be finishing up the book packing tomorrow, I will see what I still have left on my shelves before deciding what this re-read may be. Until next week, wish me luck on yet another BIG move! What are your BIG plans this week? What are you reading these days? Charleen Lynette ... LOL! Thank you!! Have fun!! Yeah, my plans are pretty pitiful in comparison to yours. Have to agree with Charleen. ;) As for what I'm reading, I'm enjoying the Rot and Ruin series by Jonathan Maberry. I'm on the last one and hoping to finish this week. Bryan G. Robinson ... I wouldn't say pitiful! :) I've been eyeing the Rot and Ruin series, so I'm curious to hear what you think about them! Tif, I really feel for you, and although you may not normally be this emotional, this is a BIG thing you're doing. Your life is being moved, like a giant excavator scooping it up, swinging its arm around and releasing you in a faraway spot! What's great is you're going back to much that's familiar and dear to you, but you're also leaving somewhere that's become familiar and dear. Allow yourself the emotions of transition and in a few days you'll be sucked up into the whirlwind of setting up your new home :) Safe trip! writersideup.com ... Thank you so much! I truly appreciate your kind words. Your visual really hit home!! We have actually moved 5 times in the last 9 years, but this one seems so different from all the other ones, and so much more emotional! We made a move this March. Only about 10 miles from our old house but it was still emotional. Just change that got me I guess. Your move sounds exciting though! Kimberly Lynne ... This is a really exciting move for us, so maybe that is why I'm so much more emotional this time around! Suey ... Thank you! I will definitely keep you posted! I can't wait to get settled and back into writing regularly again!